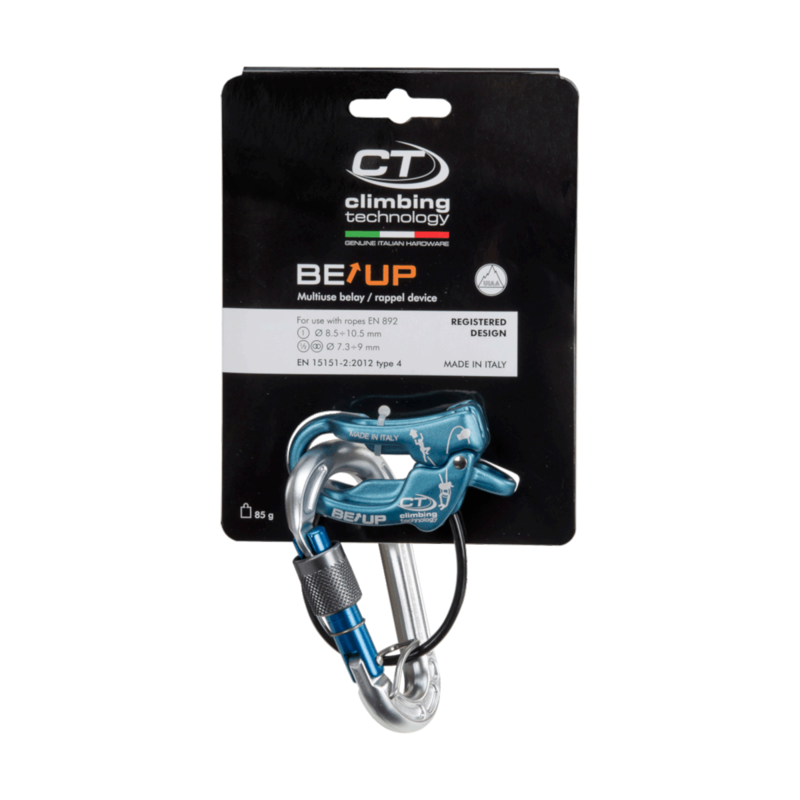 The Be-Up is a multi-use belay/abseil device suitable for use with half, twin and single ropes for mountaineering, multi-pitch sport climbing and trad routes. 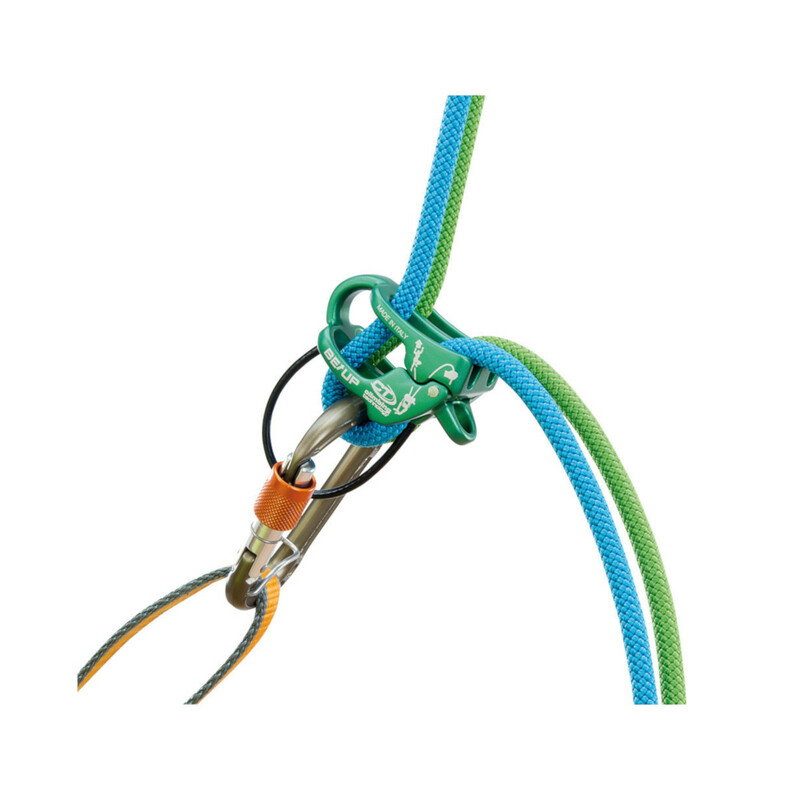 Intuitive and easy to use when leader belaying, with optimised and assisted braking when arresting a fall, abseiling or bringing up seconds. When using with two ropes it allows you pay out one rope while the other is locked-off. 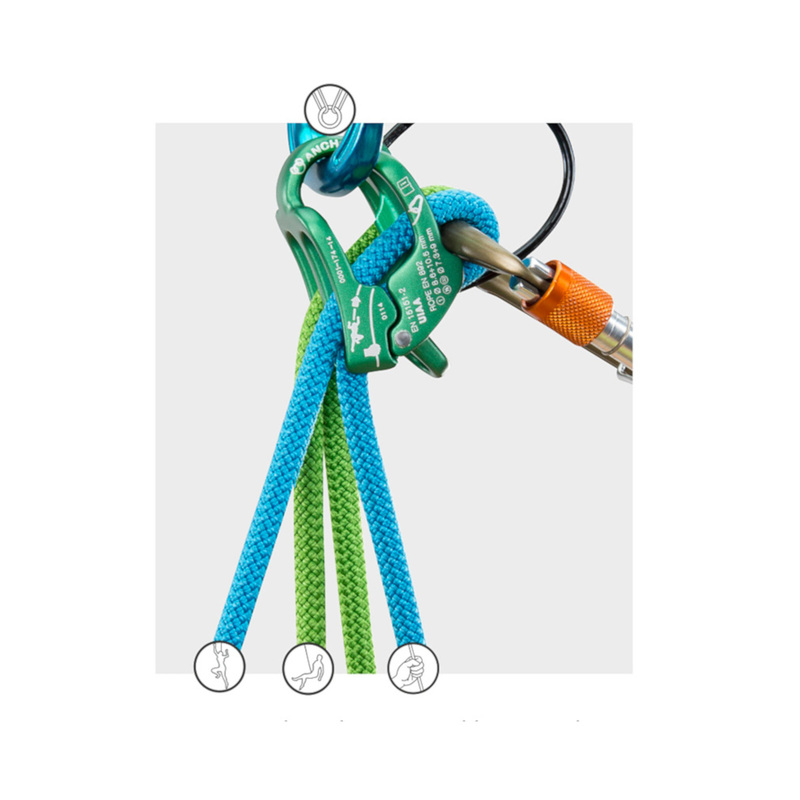 It comes into it's own in guide mode and independent belaying of two Seconds, the device can auto-lock if one Second falls or rests but the other Second can continue to be belayed independently. 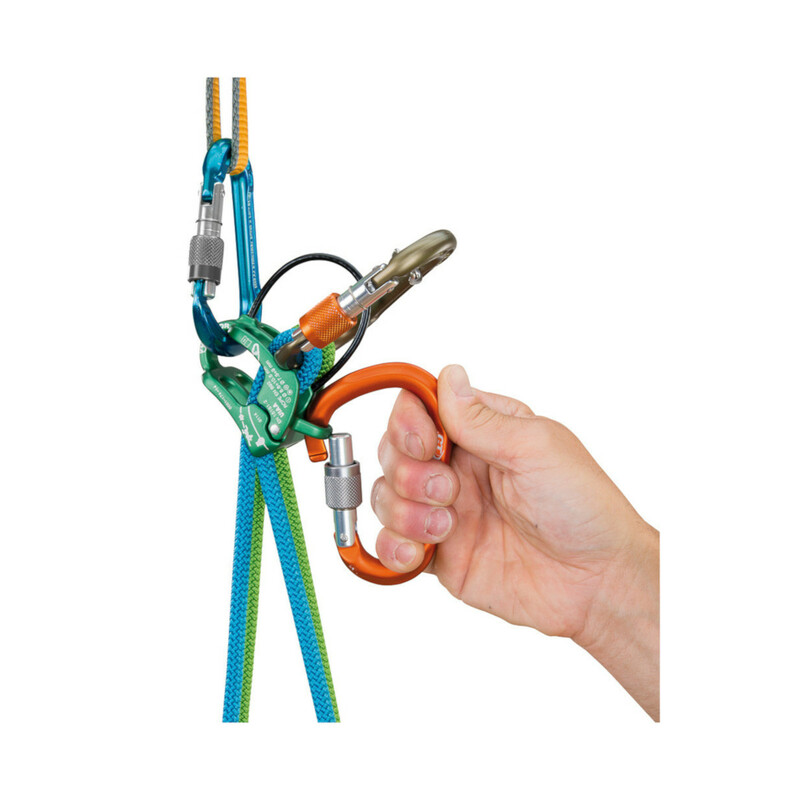 The locked off rope can easily be unlocked and the free-hanging Second, lowered without difficulty, by inserting a normal HMS carabiner in the unlocking hole. 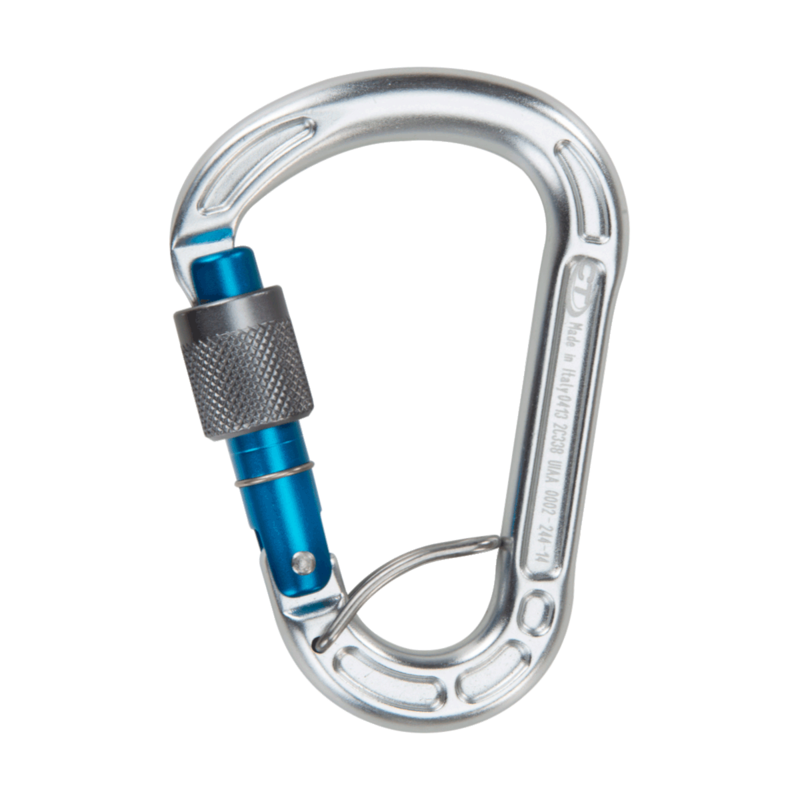 The Concept SGL is a hot-forged light alloy screwgate HMS belay carabiner, with double T beam construction for optimal weight / strength ratio. Catch-free nose avoids snagging when clipping and unclipping. 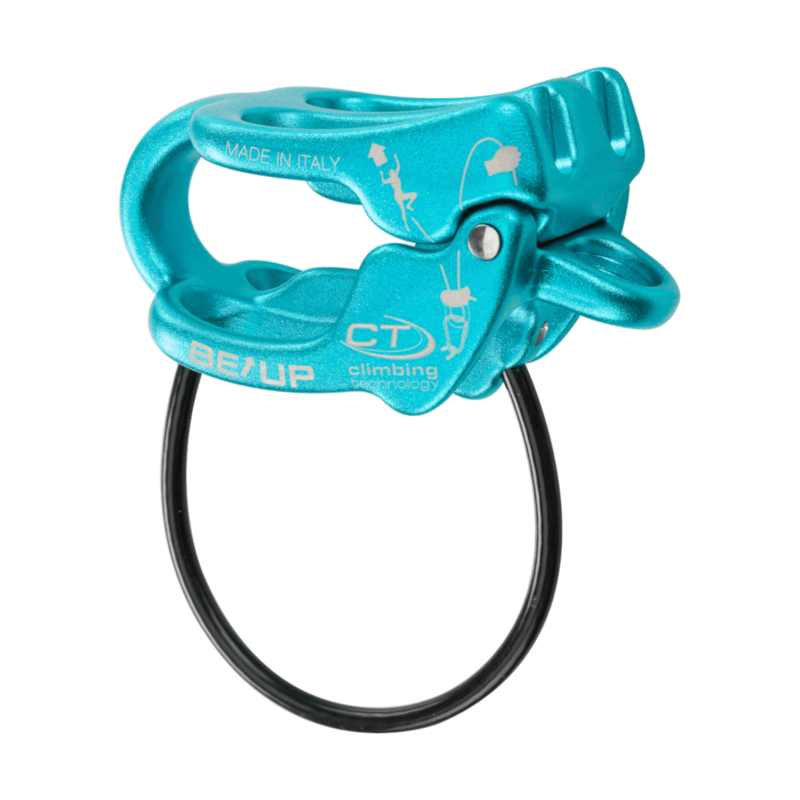 The ACL spring loaded wire clip holds the carabiner in place on the belay loop to avoid the danger of cross loading. Caution: always read carefully the device instructions before use.